OliveToLive. The Renaissance of Olive Oil. 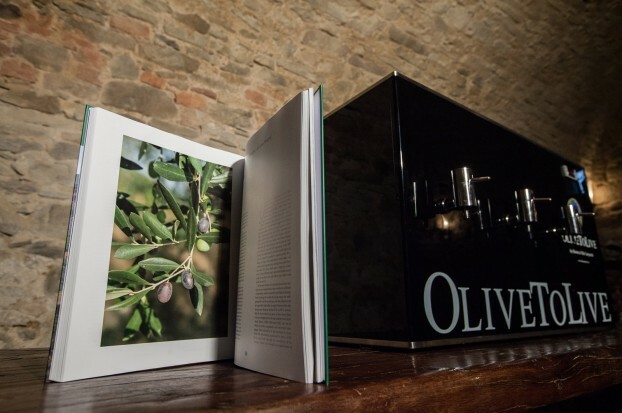 Villa Campestri’s Oleoteca® and OliveToLive will give you a new and exclusive viewpoint of Olive Oil. Its beneficial properties will be revealed to you in the shade of century-old olive groves of the Mugello valley. Nowadays we know everything about wine. We know about grape vines, places of origin, vintage, and organoleptic properties. We know very little about Olive Oil, however. We have lost a large part of this gastronomic, cultural, and symbolic heritage that has accompanied the development of humanity. Thanks to the perseverance of the owner of Villa Campestri, Paolo Pasquali, this heritage has not fallen into oblivion. At Villa Campestri the culture of Olive Oil is diffused through its dissemination, direct experience, and activities that encourage an awareness of its importance. The strategy that leads to this rekindling of an awareness of Olive Oil culture begins with our Olive Oil Tasting Seminars. It continues with OliveToLive, a patented system that ensures the ideal preservation of the organoleptic properties of Olive Oil. 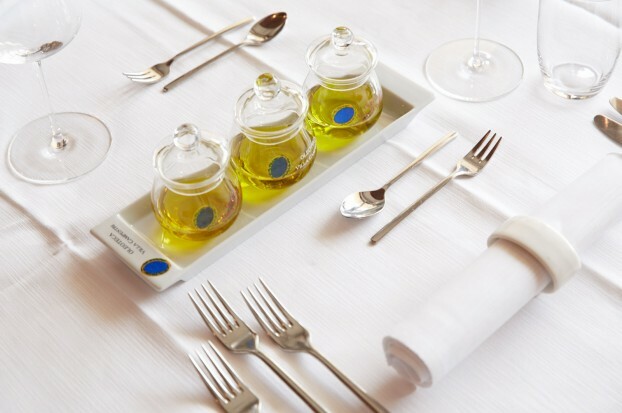 It finishes in our Restaurant L’Olivaia where the excellence of Olive Oil is the protagonist of each dish, as in few other award-winning Restaurants of the world. The worst enemies of olive oil are oxygen, light, and heat. Every time that we open a bottle of Olive Oil, or we keep it in a heated place or exposed to light, we trigger off a decaying process of its organoleptic, and nutritive properties. 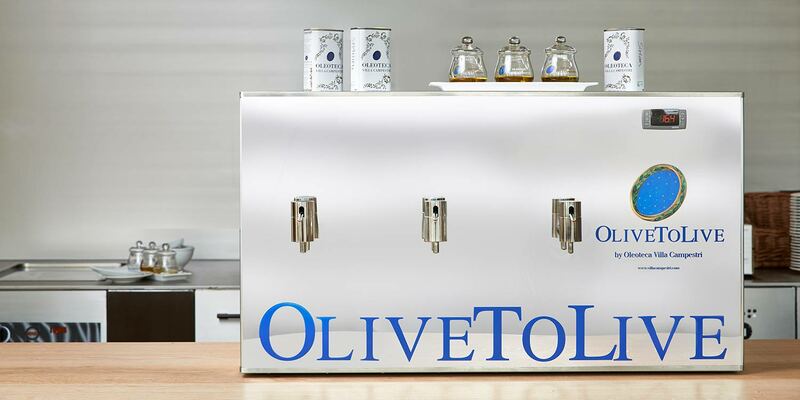 After years of research Paolo Pasquali devised an innovative extra virgin Olive Oil dispenser that he named OliveToLive. Its revolutionary system stores Olive Oil under a nitrogen, controlled temperature atmosphere in order to preserve not only its unmistakable aroma but also its extraordinary nutritive values. 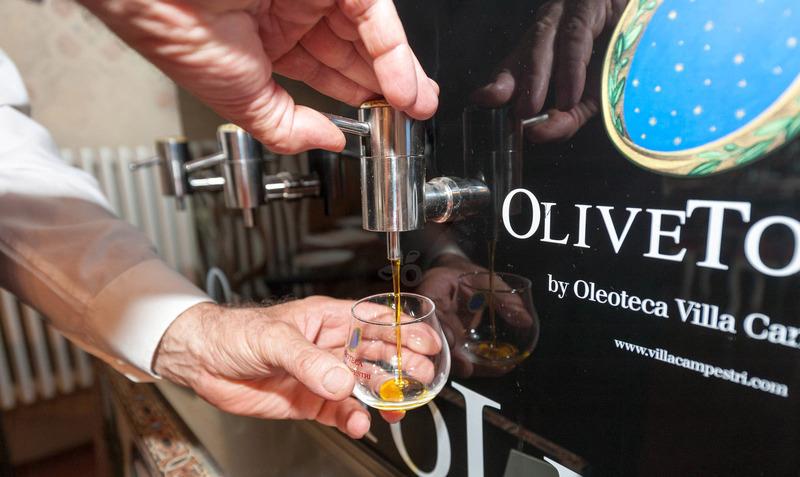 Just open the faucet of OliveToLive and let the Olive Oil drizzle out as if it were just freshly pressed at the olive mill. 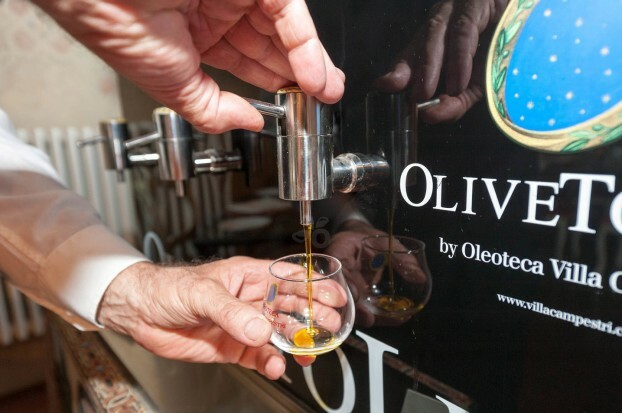 You may see and savor different olive oils with OliveToLive in the Oleoteca or in the Restaurant L’Olivaia. OliveToLive has won many awards. This landmark invention, OliveToLive, has already conquered the temples of fine cooking all over the world. It entered the Culinary Institute of America (the Institute of the most renowned American chefs) when the first Oleoteca®Villa Campestri was inaugurated outside of the Italian territory in 2010. The number of award-winning Restaurants that embrace Villa Campestri’s Olive Oil culture grows year after year. La Taberna del Gourmet, same property of Maria Josè San Roman. La Vaquerìa*, Chef Sebastiàn Abad, perhaps the best Grill Restaurant of Spain. Texture* Londra, Chef Agnar Averrisson. Would you like to discover the culture of Olive Oil in the heart of the Mugello area and have a close up experience with the excellence of OliveToLive? Make your reservation now for an unforgettable vacation in the cradle of the Renaissance. 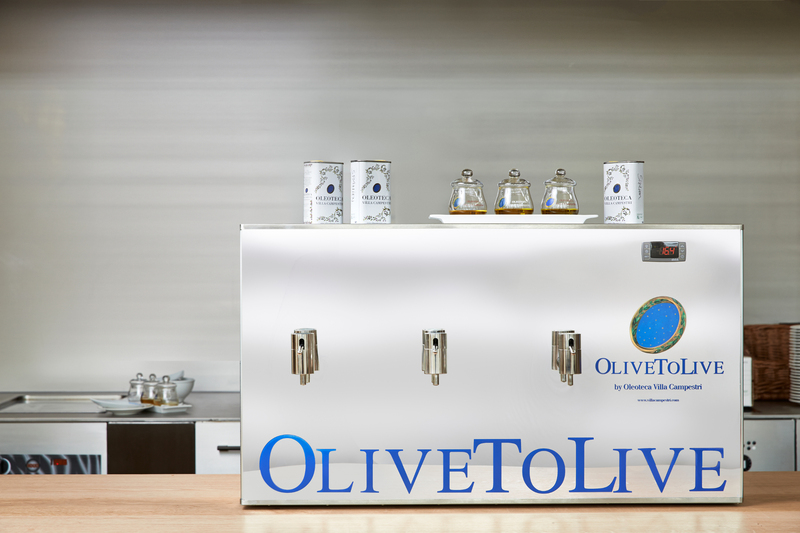 Would you like to learn more about the excellence of the Olive Oil preservation system OliveToLive? Write us, and we will provide you with detailed information.